Karen got her first instrument, a ukelele, at the age of five and wrote her first song...there was no turning back. Her father and uncle were both Jazz bass players (Whitey and Red Mitchell), playing with the likes of Ella Fitzgerald, Billie Holiday, Woody Herman, Benny Goodman, and the list goes on. As a teenager singing in clubs around L.A., Karen was spotted by film composer John Debney (Iron Man 1 & 2, Princess Diaries, Evan Almighty) who hired her for her first recording sessions for radio, film, and TV. In between traveling and singing backgrounds for artists such as Barbra Streisand, Johnny Mathis and Deneice Williams, Edwin Starr, and Paul Williams, Karen went on to make a pop-rock album for RCA records, produced by Steve George (Mr. Mister, Kenny Loggins, Al Jarreau, Jewel). Karen’s first Country album "One More Day" contains all original songs, and was Produced by legendary songwriter Jerry Fuller (Ricky Nelson's "Travelin' Man", Gary Puckett's "Young Girl") with Dwight Yoakam's band backing her up. She had 2 hit recordings in Japan (singing in Japanese), and is a vocal coach, and background vocal Singer/Arranger, for some of the busiest studios in the L.A. area. 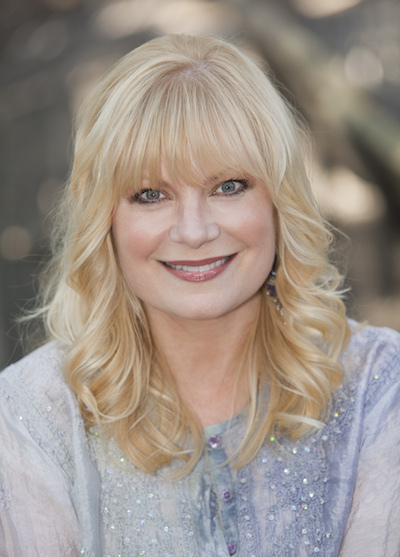 Breaking into film and TV as a Singer/Songwriter, Karen has written and sung songs in feature films starring Bruce Willis, Julia Roberts, and John Cusak. Karen is the featured singer on the critically acclaimed Big Band CD "Wind and Sand" by Bruce Lofgren and his Big Band. An active member of PETA, the Humane Farming Association, Farm Sanctuary, and other humanitarian organizations, Karen is dedicated to caring for aminamls and our planet. Her first CD of positive message music is called “In This Moment”, and Karen has just finished her much anticipated, and soon to be released, CD entitled "Willing To Change". It was masterfully produced by phenomenal musician and Producer, David Blasucci. In 2016 Karen became a New Thought minister, and beginning January, 2018 is a Staff Minister at CSL Ventura. Karen enjoys writing a Spiritual Advice column called "Spiritually Speaking" for the Crescenta Valley Weekly newspaper. In October, 2017, Karen graduated from Kundalini Yoga Teacher Training at the Awareness Center in Pasadena, California, and looks forward to teaching Yoga, helping to empower people to remember their own ability to grow their creativity, and use breathing and chanting in Yoga for stress management. CD Launch Concerts and a music video are coming up, and we will keep you posted!